Black 1994 840 20" chrome thin 5 spoke rims. Personalized NJ plates. I saw a dark coloured 8-series in Los Altos by Homestead and Foothill on Saturday around 10 a.m.
saw a white e31 on westwood blvd in los angeles today at around 11:30ish. Had magnaflow exhaust and i think 17" bbs wheels. I think it was also lowered and had ACS side skirts and rear diffuser. anyone???? ^^^I think it's an RF member from OC! He's got 18" BBS LM's. On Friday afternoon around 4:30 pm in Rt. 29N at the Rt. 198 exit in Silver Spring/Burtonsville, MD. I was in the 850 exiting onto Rt. 198 and a white 840/850 (couldn't tell which) passed me heading north. We blew at each other. Anyone here? Hey James.....that was Michael...he Posts as MJR Group on the forum. I already sent him a PM telling him I spoke with you and that it was funny how you two crossed paths. He asked me if that red 8 was me. I saw this nice E31 just 30 minutes ago in my hometown here in germany! I love the alpina's fits perfect. Last edited by El Wedo; 05-26-2010 at 01:53 PM. Saw Zeke (RockyTT) today from my office window. Tustin is a very e31 heavy area for some reason. 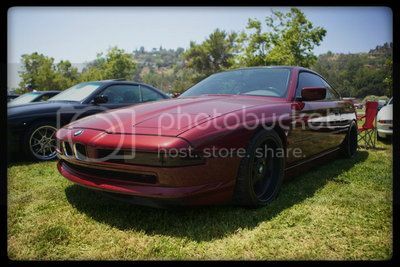 I saw a black 850ci at the Courtside Club in Los Gatos a couple days ago. Anyone here? I saw twice a white 850? on Skibo Road in Fayetteville NC. To date it's only been me and AJNC here at Fort Bragg. You are on our turf broham ...who are you? My gf ran into someone at the entrance to her office building in Downtown Alexandria this past friday. In South Henry street, near King Street I think. It was a green 8 and she took this pic. Is it anyone here? 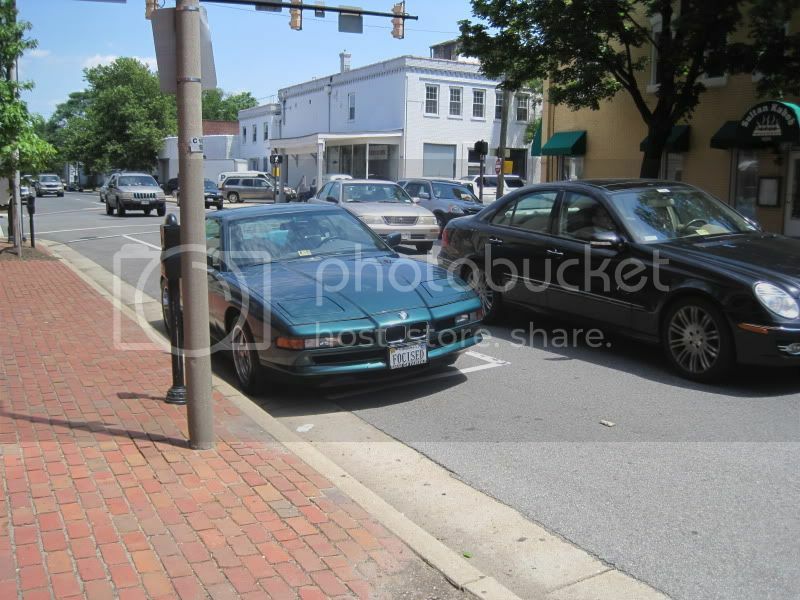 Ive seen that green 8 in alexandria in the past as well....dont know whose it is. Black 840(?) westbound on Fairland Rd. around 12:30 pm today. Looked like it had MD National Capitol Chapter BMWCCA license plates. I was in the E31 waiting to turn onto eastbound Fairland Rd from Westwind Dr. I saw a white 840ci on Ocean Ave in Carmel, CA yesterday evening when I was on the Monterey peninsula for the US Open. Anyone here? Afternoon 6/24 blue e31 in Boulder CO parked on 3rd(?) St at a house up against the foothills (W of Broadway). Lad, your in Boulder? Im in Thornton. Meet?